Teenage Engineering has certainly become a master of mobile music-making devices, and to a certain extent has led the field. Yes, there are many cheap plastic synths available now (and I’m not using ‘plastic’ in a derogatory way, by the way), but when the OP-1 was announced a decade ago, there was little else out there like it. I looked at the latest OP-1 update a couple of years back and it still stood out thanks to its vast number of features (synth, sequencer, recorder, even FM radio). Now, though, it seems that everyone is on a ‘plastic fantastic’ bandwagon, and every month I seem to review a small synth, absolutely packed full of features, and normally for sale at a ridiculously low price. Most recently, the Modal Skulpt really stood out for me, but there have also been Volcas aplenty, the odd Pioneer, many mini Rolands and, of course, a slew of Teenage Engineering’s own Pocket Operators, to name but a few of the new breed of cheap all-in-one music-makers. So can TE still retain its kind of one-box cool status with its all-new and feature-packed OP-Z? 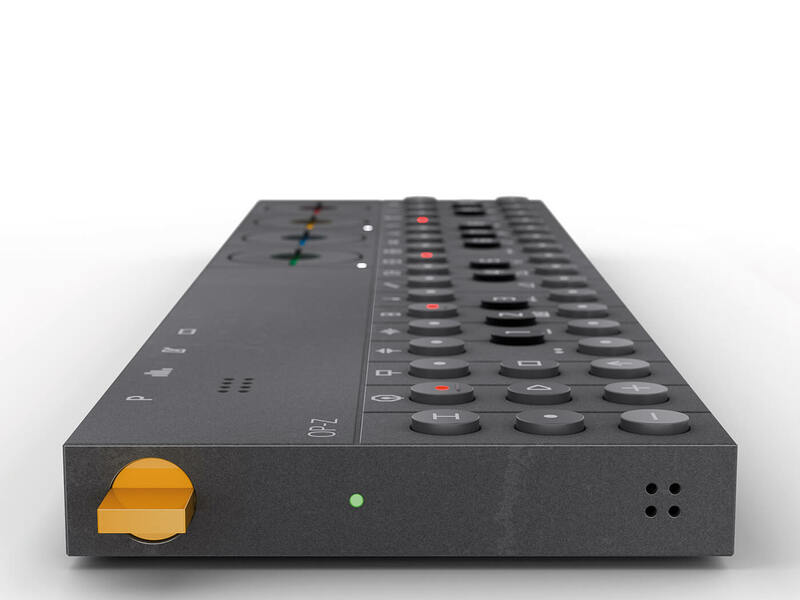 OP-Z is a 16-track sequencer with the ability to play samples and synth sounds. That’s the easy bit. Having reviewed so many of the company’s products, I know that there will be a lot more going on beneath the surface than that simple description promises. And, boy am I right. First up, OP-Z doesn’t just sequence notes, but lights, visuals and motion automation. There are not one but eight synthesis engines – well, why not? – with more promised. The sampling side of OP-Z is made up of 16 category packs, each with 24 samples. Sequencer tracks can run completely independently from one another and at different speeds and, as if that’s not enough, the sequencer also includes what TE calls Step Components which help break out of the more rigid side of sequencing. A big difference over the more expensive OP-1 is the lack of screen. The OP-1’s was and is beautiful; OP-Z will work standalone, but better with a free phone app – and it is only iOS-compatible at the moment. As we’ll see, the combination is quite brilliant, but could it mean that using the machine on its own will feel somewhat less of a complete experience? We shall see. to leave home without it. It’s also well built and feels especially solid, especially compared to those Pocket Operators (well, it actually has a case, for starters!). The unit is surprisingly playable as well, given the size. On first power up, via that yellow dial sticking out of the left, make sure you follow the guide on the (now familiar TE) instruction sheet. It works in conjunction with supplied coloured overlays and – accidentally ripping these as you separate them from their perforations aside – will quickly get you familiar with playing and sequencing. You can select a Project via the P button and each of these has 16 Patterns (selected by holding down P and choosing from the 16 top-row buttons). Each Project also has 16 Parts (or tracks) within it. These can be selected and played by holding down the Track button (an H on its side) and again selecting from the top row buttons. Still holding it and pressing the number keys will select a different sound for each part. I’m aware that I’m making it sound a little complicated – it isn’t! Putting a step sequence together is as simple as choosing your sound for a track, playing the note you want to record and filling in one of the 16 steps in the cycling sequence – it has a very similar feel to the Pocket Operator sequencing and you can very quickly get tunes going. Perhaps better for getting your ideas down is the Live Sequencing feature, where you can play whatever melodies you have flying around in your head, simply by having the Record button held while you play. Easy. 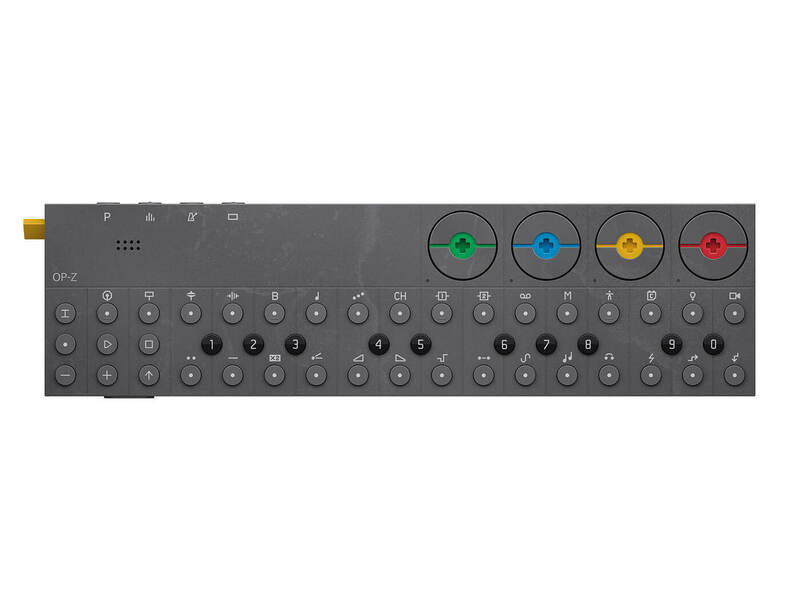 Next up, we touch on those distinctive dials on OP-Z’s front panel, which the guide initially reveals can increase quantisation (the yellow one), bpm (green), glide (red) or swing (blue) between notes. All very easy to do, and well implemented. These dials can also control other parameters – the ubiquitous filter and resonance, plus all manner of other synth controls. You hold the Shift button and select one of the top row buttons. The LEDs below the dials then change colour (to white, purple, yellow or green) which will then change what parameters the dials control. In fact, the only slightly complex feature is Step Component, where you Shift/Select a Component and then its level. I had a bit of trouble getting this going at first, but a table describing what each Component actually does certainly helps. Basically, you can change how each Step plays as it cycles through, adjusting everything from how many times it repeats, to jumping to the start of the loop or a random position, or even sweeping the filter as it plays. It’s all very clever and you can really get into the detail of how a sequence plays back and easily change it from your standard rigid sequencing. There’s loads of flexibility on offer here, but it does take some practice and time. Taking these effects a little further, you can also carry some of these out in real time as a Pattern plays by hitting Shift and using the punch-in effects – repeats, pitching and so on. There’s also a dedicated Performance Mode where you can carry out these without needing to hit the Shift key. In summary, on a very basic ‘record a tune’ level, OP-Z is gloriously easy to use; it only gets slightly more complex the deeper you want to go into the options. 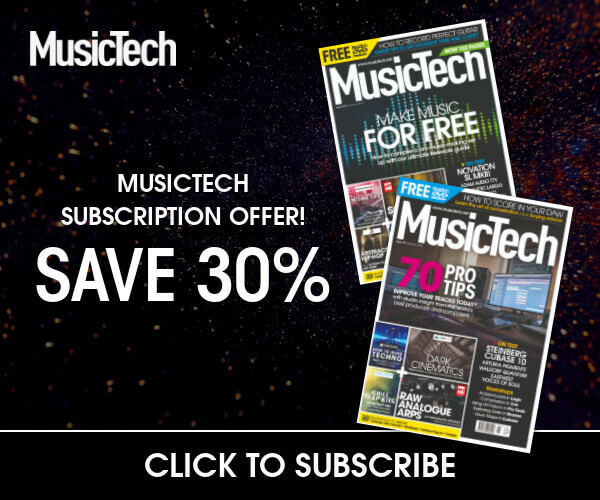 The fact that these extra sequencing and performance effect features are there is excellent news, especially for more off-the-wall recording and playback. Just be prepared to put in some time to make the most of them. So, to the free OP-Z app mentioned earlier. This is where OP-Z not only comes alive, but where some of the more outandish side of Teenage Engineering comes to the fore. You can go into detail on the sample packs, with what’s included, and who produced them; there are photos and videos to trigger via your Patterns – not too many yet, but more will doubtless be added. A MIDI Setup area allows you to configure MIDI controllers, but the most useful feature is the main app area, which lets you get to the real guts of the sound. Press Shift on the OP-Z, for example, and start hitting the punch-in effects and they are displayed on screen by massive, gaudy and colourful names – Ramp, Duck, Random and so on. Hit Project and you can see how each one is broken down by Pattern. The best option I found was hitting the Track button to then go through the sounds in each track. 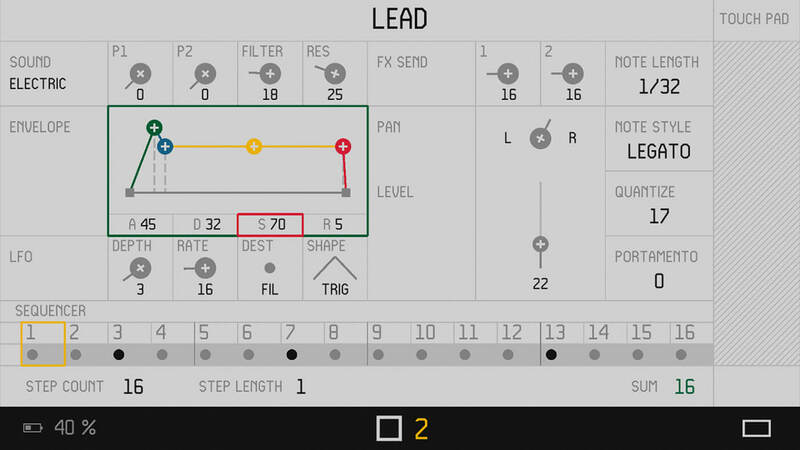 Here, you can effectively use the app as a synth window into each sound. Touch a section onscreen – Envelope, LFO, effects and so on – and change parameters via dials and other controls on the OP-Z; it suddenly turns the unit into a full-on synth. More exciting is the Light option that plays back and sequences lights on the display, which react to your Patterns. It can all go pretty deep into OP-Z’s architecture, but the app can be enjoyed both as an exploration tool to get to the heart of the device, or as a visual accompaniment to the music you are playing and creating. Either way, the app is a huge bonus, suddenly opening up a set of completely unexpected delights. I guess the question is: if you don’t use the app, are you missing out? If I’m truly honest, yes, because there’s a hell of a lot of fun to be had here, especially in tweaking sounds and getting those visuals going. You also discover more about what each of those symbols you were kind-of-randomly hitting before actually does, so the app feeds back and helps you understand the hardware more. What is important to stress, though, is that OP-Z can easily be used on its own; it’s just the app gives you some lovely surprises. If you didn’t know about them, you might not miss them, so if you don’t have an iOS device, either wait for the app release on your platform, or try and unread and forget what I’ve just told you! Finally, as always seems to be the way when reviewing these new breeds of all-singing, all-dancing hardware devices, I’ve completely skated over the actual sound. In true Pocket Operator style, it’s all about contemporary beats and blips rather than pads and great effects and attention-grabbing basses and leads. But unlike the POs, there are many more synth options – the eight engines and counting – that can take those sounds to pastures new (and the app will lead you to them as well). You might be slightly underwhelmed at first, but explore OP-Z, and don’t expect the speaker to deliver ‘oh wow’ moments – you’re best off plugging this device into your studio speakers or headphones for much better results. 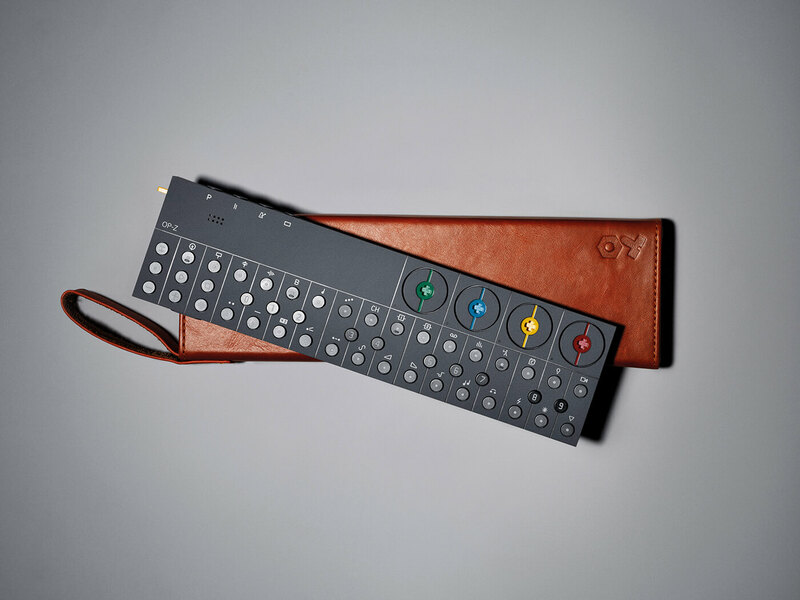 Overall, OP-Z is veering towards the genius level, in only a way that only Teenage Engineering products can. It is so well thought out in terms of both the hardware and the app and the two work beautifully with one another. There are also many layers to both which I don’t have space to detail – mic options, visual-sequencing extras, motion sensors and the fact that OP-Z is expandable, with the £139 Oplab CV expander being the first of more modules promised. As I said, the competition has hotted up in the mobile arena, and while you can use OP-Z as ‘just’ a mobile composing unit, the real fun comes with all of the extras and frankly crazy level of detail. In this respect, it really stands out from the rest on so many levels, for both sequencing and visuals. OP-Z will both inspire and delight you. Expensive, yes, essential, no – but once you witness it in its full app/hardware glory, there will be no turning away. Similar, in that it’s a multi-function synth and sequencer, but OP-1 is also different – no app, more playable, plus a great screen. It’s also become something of a cult buy and prices seem to be going up, so it is pricey. 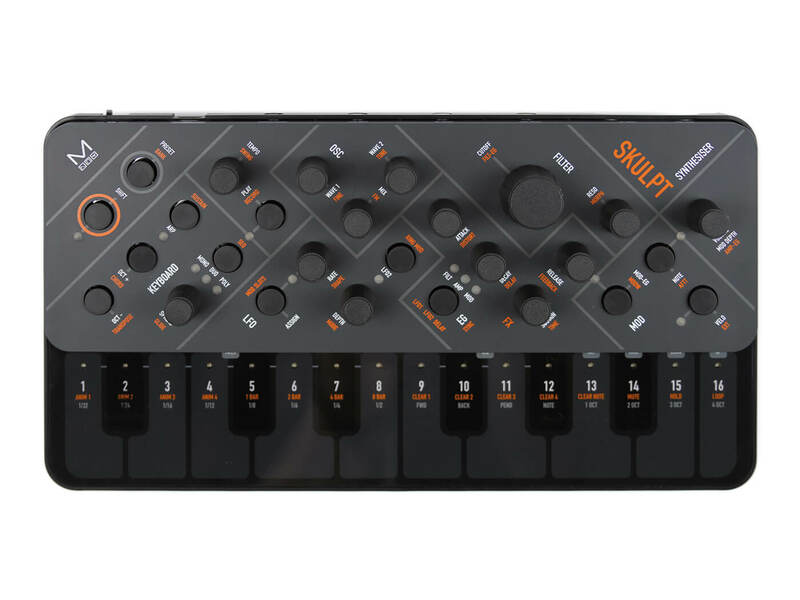 Of the new breed of plastic fantastics, none really matches OP-Z’s scope but Skulpt has great synthesis, sounds, sequencer and an app that makes for a glorious combo. Put it and OP-Z together for a fabulous partnership.